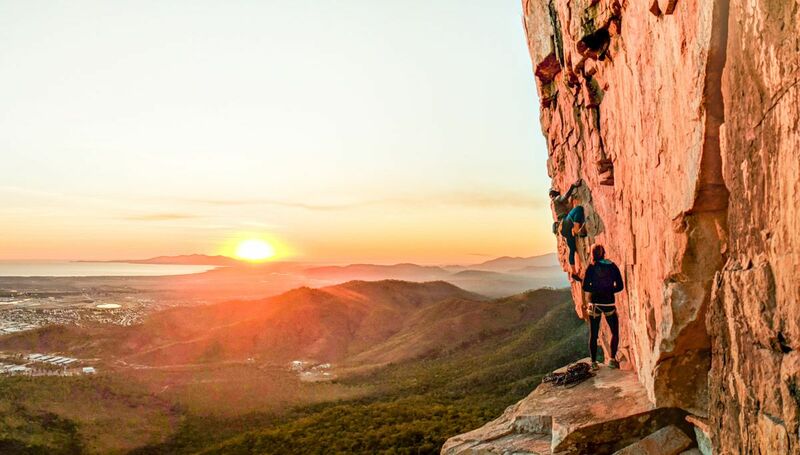 Mt Stuart is Townsville's outdoor playground with many outdoor recreational activities like drift trikes, luging, downhill mountain biking, rock climbing, road cycling & walking up and down the hill and it offers spectacular views out across Townsville itself. 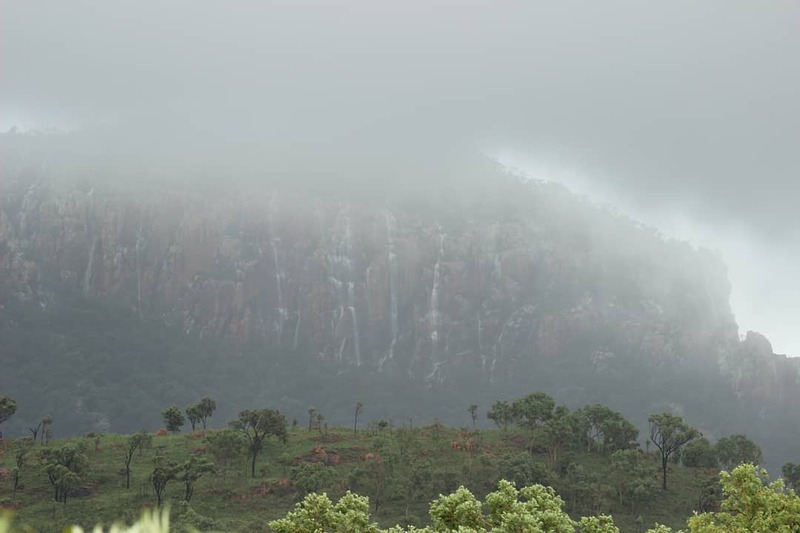 It has an elevation of 584 metres and is used for commercial television transmission. Named for Clarendon Stuart (1833 - 1912), Townsville's first district surveyor. The summit of Mt Stuart is composed of granite formed some 265 million years ago. Granites result form the slow cooling of molten rock which does not reach the surface of the earth. Mt Stuart and other peaks in the area are remnants of granitic intrusions that have become exposed through erosion. The dramatic cliff line is thought to be the result of fault movement. In the distance, you'll see Hervey's Range with the Rhyolite peaks of Frederick Peak and South Pinnacle protruding above the surrounding plateaux. 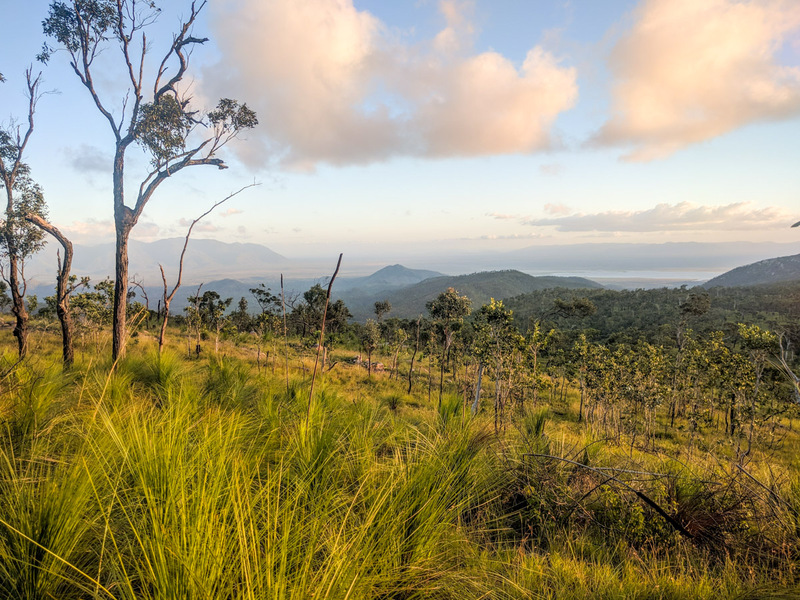 Hervey's Range forms the watershed between Townsville's coastal rivers (the Ross, Bohle and Black Rivers) and the immense Burdekin River catchment to the west. The vegetation around the area has slight changes. You can seen one of Australia's signature plants, the Grasstree or Blackboy (Xanthorrhoea johnsonii) with its dramatic flow spikes containing thousands of tiny white flowers. This species of Grasstree is generally low growing with a short unbranched truck of less than one metre, or with no trunk at all. Flowering is more profuse after a fire. The dominant eucalypts are the White Mahogany (Eucalyptus acmenoides), one of the Stringbarks, and the Pink Bloodwood (Corymbia intermedia). Both these trees are widespread species which can grow into much larger trees in the areas with more favourable soil and climatic conditions. 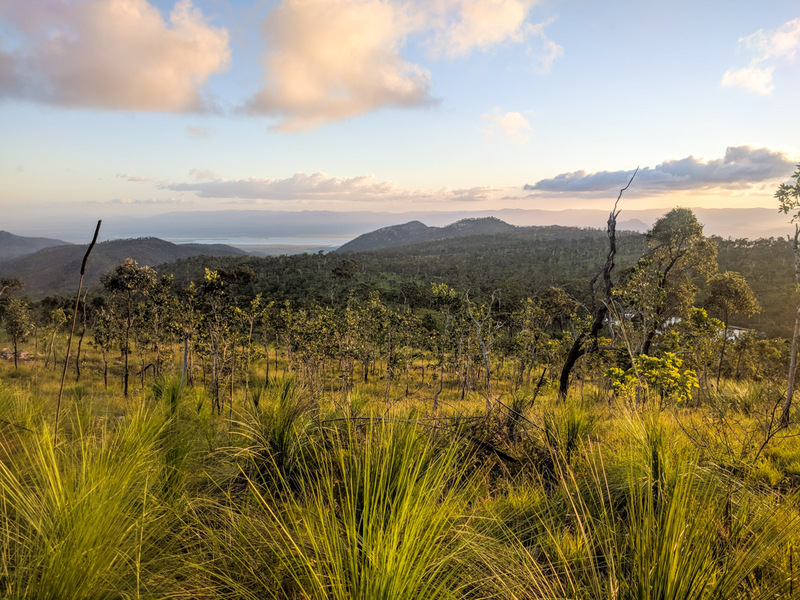 Patches of Semi-deciduous Vine Thickets, a type of dry rainforest, are visible from the lookouts - the darker green vegetation on the slope below the summit. 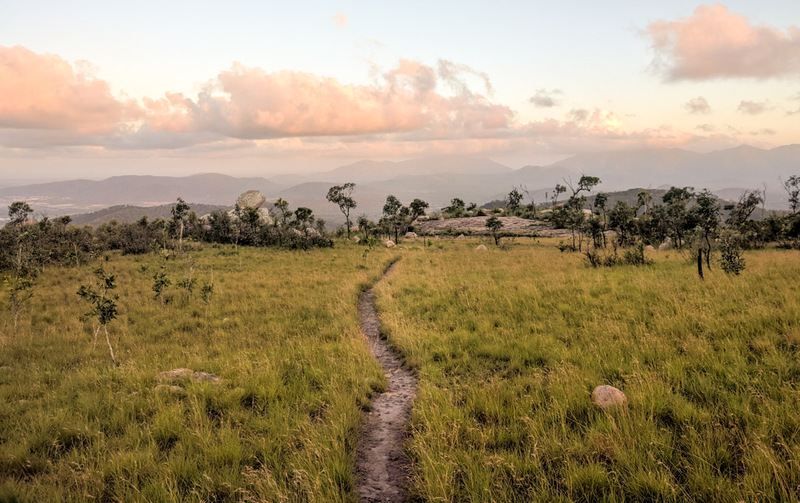 Once you reach the top, there is a small track called the Loop Trail giving unparalleled views out across the landscape across to the Ross Dam and Ross River. The circuit takes 10 minutes and a few peacocks will happily strut their stuff and let you take pictures. You're bound to run into other types of wildlife up there as well. The DH run is approximately 2.8 kilometres long and regularly sees riders hitting 60 km/hr, taking around six minutes to complete a run. There is a total of five kilometres of technical downhill track running either side of the bitumen public road. 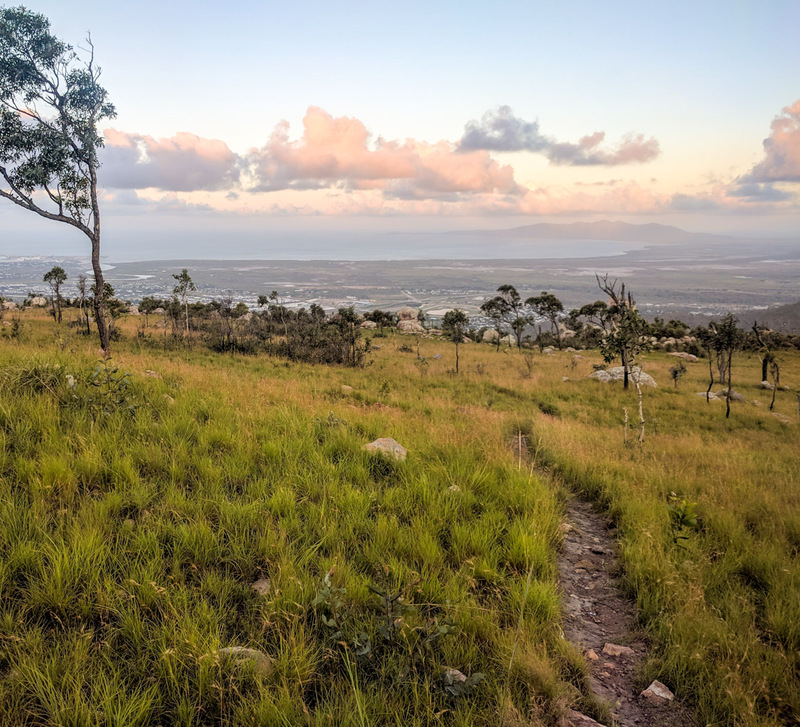 Townsville Rockwheelers maintain these downhill tracks at "Mount Stuart Down Hill" and often host events. To get to the bottom car park, turn off Stuart Drive onto Mount Stuart Road. Just up the bridge is a clearing near a sign saying 7.5km of winding road ahead. Park you car here and shuttle to the start of the tracks near the saddle. The main area is often called "The Playground" and is super easy to access, has quality granite & cool and shady in the afternoons. It's best climbed after 1pm when the mountain provides shade for climbers, most days will have a good breeze to keep cool. 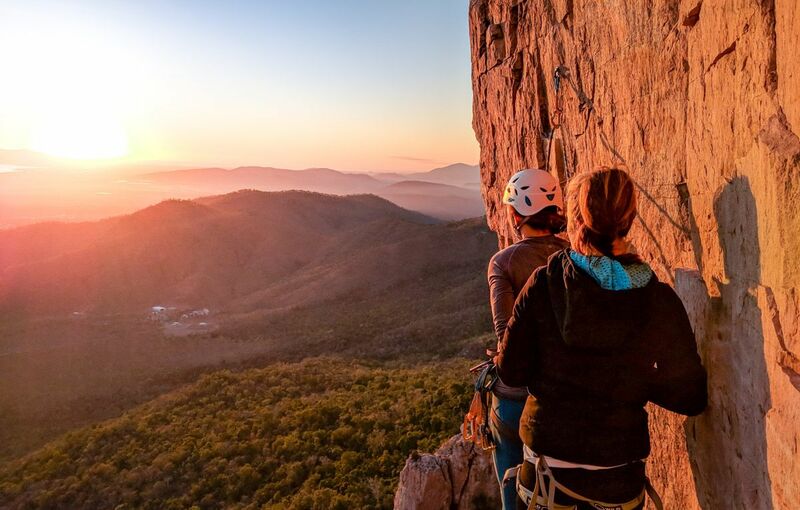 It can be climbed all year round however during the year, the car club holds races on the mountain road and during this time road access is closed. Park at the first set of gates you see when you reach the top, park a minimum of 5m back from gate otherwise your car may be towed away. Follow signed walking path near the fence until you come to the edge to the cliffs. Take all rubbish home with you and be aware of loose rocks and other climbers who could be below you. 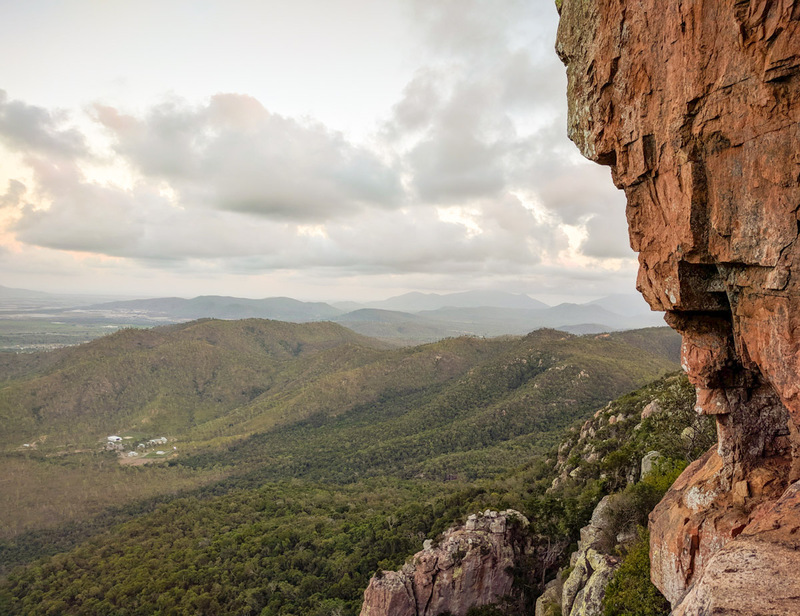 The other popular outdoor climbing place in Townsville area is Frederick Peak. Start at the bottom car park. If you walk right from the bottom of the road near the highway the walk is 15km return and takes about 2-3 hours to complete. It 7.5km of continual uphill then 7.5 back down. There are no tracks available to the public so you need to walk up the narrow road. It can be a very hot walk, even in winter and there's not a great deal to see until you reach the top. Stick to the road because mountain riders will be down the side trails. The walk is fairly exposed so bring water and sun protection. Mt Stuart is a perfect place to train for any road cyclist. It's uphill all the way except for a small part on the saddle. Riding down the hill can be extremely fun and rewards you for your efforts. Remember that the speed limit is 40kmph. Many people are illegally riding down this public road which doesn't always end well. Other places people ride include Riverside Ridge which overlooks the city. An 'Australian Drift Trike Event Committee has been established this year in a bid to help legitimise the activity as a sport.